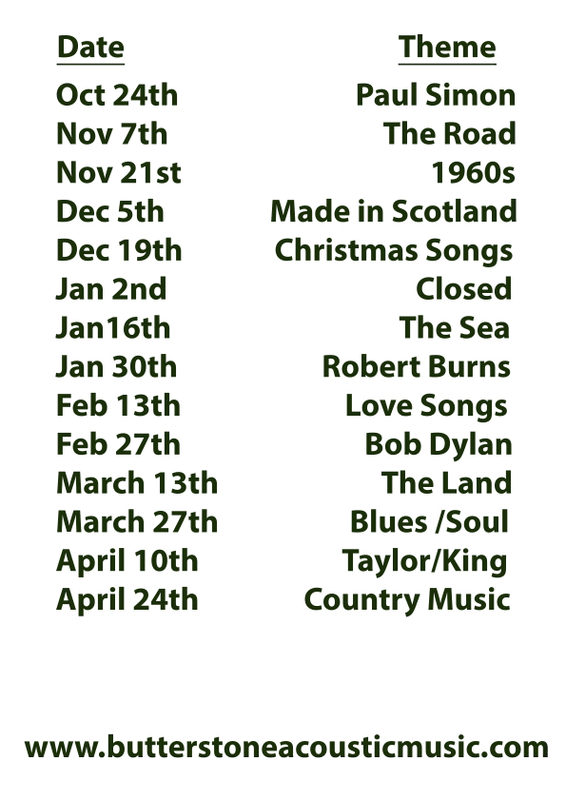 Recently a few of us decided that it would be a good idea to start a regular get together of musicians in our area ... a place where we could meet, chat, sing and play a few songs. 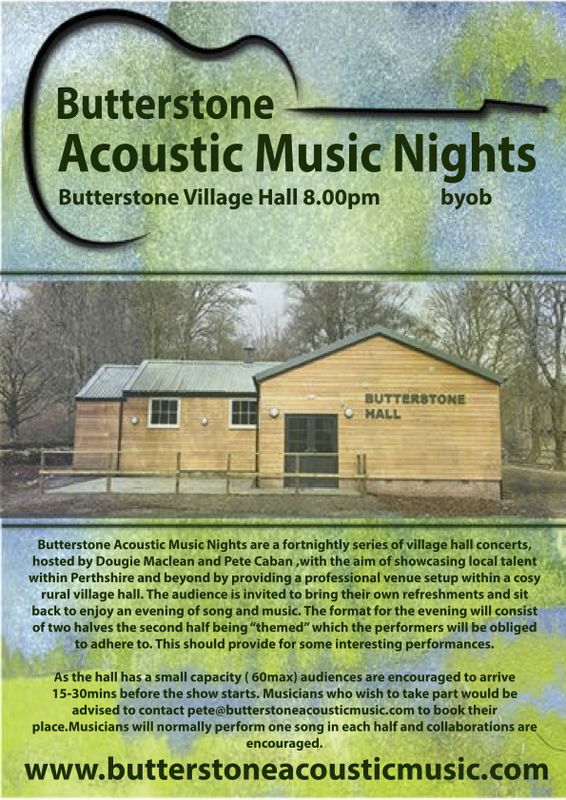 The village hall in Butterstone is a perfect venue for this, it has recently been renovated with new toilets, comfortable seats and good parking. The evening will take the form of a small cabaret concert with good sound system and lights. Musicians are welcome from anywhere to come and perform a couple of songs, with the programme being decided on the night.